When it comes to recruitment and hiring, time is of the essence. The longer open positions are left unfilled, the longer your business is vulnerable to lost opportunities and revenue. However, that doesn’t mean that you should hire the first applicant who comes through the door. You need to find the right candidate with the right skill sets whose goals are aligned with your organizational objectives. Make sure that your recruitment process is streamlined. If you find that your time-to-fill is too long, you need to simplify your process. Engage candidates through multiple touchpoints such as social media, digital and offline ads, and multimedia content. You can even automate your pre-qualification and applicant screening to avoid time consuming pre-screening interviews and costly phone calls. A streamlined recruitment process will also help you provide a positive candidate experience and uplift your brand reputation. 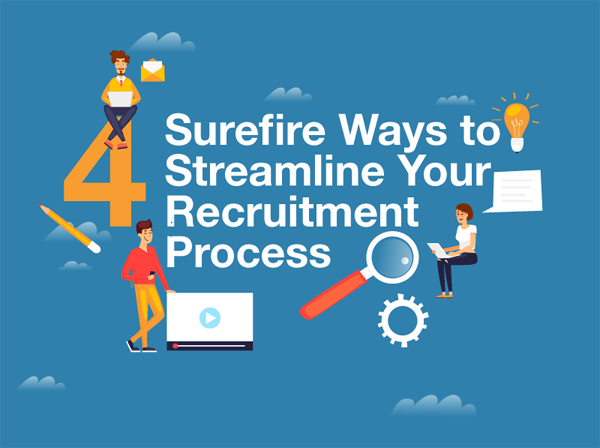 Check out this infographic that outlines the different ways you can streamline your recruitment process. Poke Yoke - What's It All About? What Dog Breed Matches Your MBTI Personality?